When a buyer or investor is looking to enter the Sydney market, you can’t look past Alexandria as a real contender. Once a heavily industrialised area, Alexandria is now home to a mix of late Victorian homes, new apartment developments and repurposed warehouses. Alexandria is famous for its rich cafe culture with people travelling from all over Sydney to visit ‘The Grounds’. 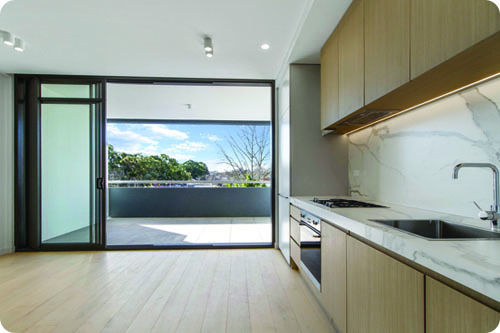 The area has plenty of parks and green space, add to the fact Alexandria is only 4km from CBD and it’s easy to see why this is fast becoming one of the most desirable places to live in Sydney. Alexandria is the perfect blend of inner-city trendiness and a relaxing family friendly vibe. A great choice for those who work in the city but are looking for property at a more affordable price. Alexandria has a charm of its own, a variety of brick-built architecture and modern developments attract both young and older residents. While the main streets of Alexandria are pleasingly bustling, there are many quieter streets where the older style character homes are located. Alexandria has built a solid reputation as a go-to suburb for good coffee, lazy brunches and trendy bars. Whether its exploring the unique ‘Grounds of Alexandria’ or trying out one of the bars housed within an old warehouse, there is something for everyone. Many of the old factories are converted into cafes and restaurants, so there are plenty of new places to try. Alexandria is a mecca for shopping with numerous retail outlets in the area as well as high end furniture stores and antique auction houses. Alexandria is within walking distance to Green Square and Mascot station. Like most newly developed suburbs in the area, Alexandria has excellent transport options available. Bus routes and cycle paths connect Sydney CBD, providing easy access for city workers. Alexandria is within close proximity to Alexandria Park, Sydney Park and Moore Park, all of which provide great facilities for families, and off-leash areas for your four legged friends. Alexandria is undeniably the hidden gem of Sydney.